It's that part of the year when your hair needs the MOST care, especially is you are living in an urban suburb where your hair are exposed to a lot of harmful chemicals and to add on that the present climate! In this and this post we introduced you all to what we Bling Sparklers have got recently besotted to. Oil is no doubt the best way to nurture your hair and keep them, rejuvenated, voluminous, shining and happy! In the present market, there are unlimited choices when it comes to hair care oils and it's important that we understand what our hair actually need and make the right choice. 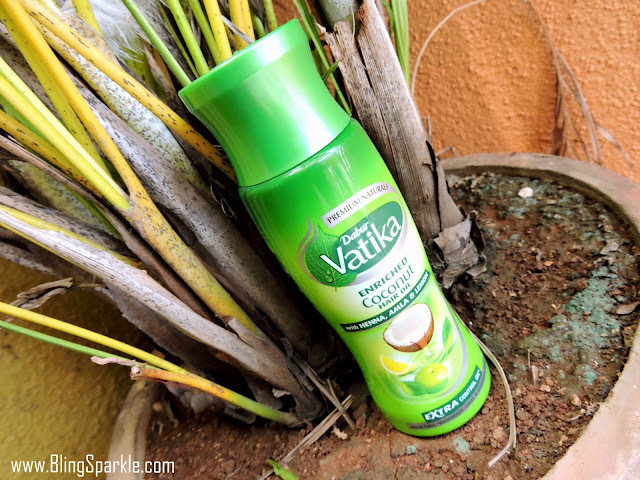 This post is thorough introduction and review of the amazing Dabur Vatika Enriched Coconut hair oil we have already discussed in our previous posts. First things first! The packaging is what a persons's eyes fall on first and that is what play a very vital role. Seriously, you don't want oil dripping out of the bottle and stumbling all over the place once you have bought the product. Oil's something which can get real slimy and creepy when not packaged properly. So the first priority is packaging. It has to be spill proof and sturdy and a little attractive would do no harm too! The Dabur Vatika Coconut ++ hair oil comes in a sturdy bottle with a 'screw in' cap which fulfills all the above needs. It also has a firm plastic seal right on top to ensure extra protection. 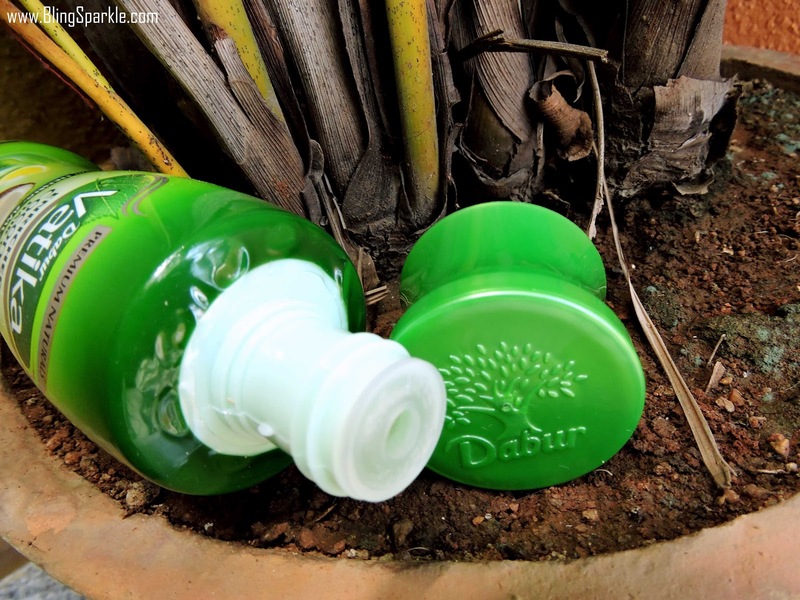 The look of the bottle is quite cute with green shades and coconut picture. This is one of the best things of this product. Keeping in mind how effective it is, the pricing is a total seal deal! It smells great. The scent is not too overpowering but certainly mesmerizing. It smells of fresh coconut and a slight hint of almond. I love the smell! The texture is runny and liquid in all seasons. 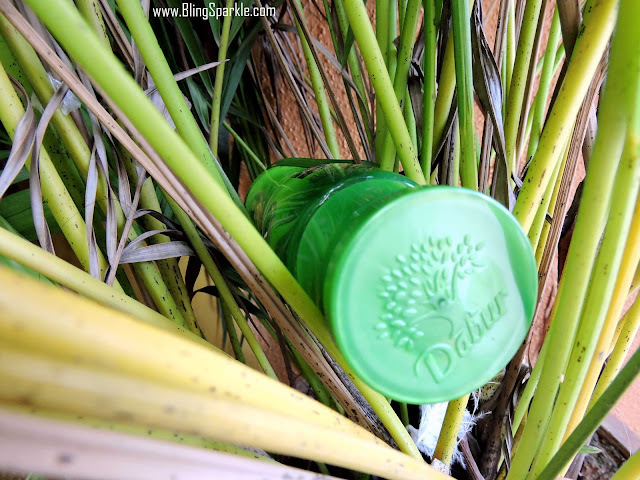 Unlike other coconut products where the texture gets solid during winter and liquid in Summer. This is truly a blessing as you don't have to pressurize the bottle during winters to get the oil out. Just keep it in a warm and dry place, not in a refrigerator. Lol. It has Henna, which along with other herbs coats your hair & protects it from oxidation. It also has Amla which strengthens the roots of hair to help maintain their health and natural thickness and lemon which has an astringent action that controls the flow of sebum. I am blessed with silky soft hair which are quite unpredictable and moody, just like me. I never want to cut them short and I hate it when split ends force me to go against my will. :( One of my friends suggested me this and I thought why not give it a try as I have heard a lot of good reviews about it and the pricing doesn't burn a hole in my wallet. So I gave it a go and I am glad I did so! I have used it for over a month now and I must say I am quite impressed. This amazing oil has managed to win my heart in a short time span. It's showing results which majority of the products I have tried till date couldn't. 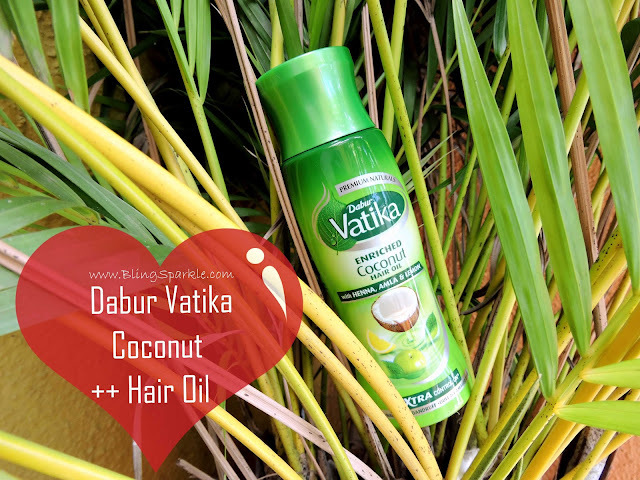 The Dabur Vatika Coconut ++ hair oil prevents hair damage. It's regular application will make sure your hair grow strong and immune to pollutants and other damaging things. It reduces Hairfall. When I was not using it, a huge bunch of my hair would fall on every stroke of comb. You can imagine how traumatic that is! Thanks to this amazing oil, hairfall has disappeared and my hair are back to their healthy state. It keeps split ends at bay. Split ends force you to chop off your long and lush tresses. It really kills to take a hair cut just because your hair have got split ends! What I noticed was when I used this oil regularly, there was no trace of protruding split ends. It keeps frizz at bay. Hair frizzing is another annoying thing which can cause skin irritation. The best way to fix it is nourishing your hair with oil and this hair oil by Vatika plays the best role here! It is is enriched with Coco ++ which prevents hair breakage and nourishes hair making the strong. It's also famed to prevent hair greying. 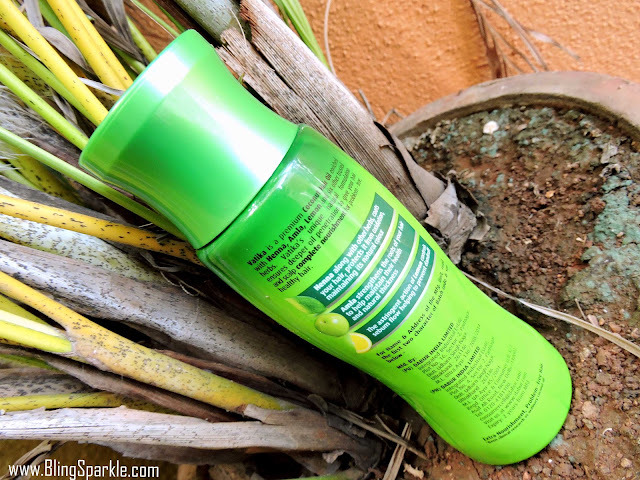 It nourishes my hair within few minutes of the application and also helps me get rid of any head aches. Sitting in front of my laptop screen gives me stress and this oil helps me fight it like my warrior. My hair fall has reduced considerably too! The texture of my hair has improved, not to mention the frizziness is gone. I simply love this product as it's the best you can get fro this price and actually it's quite better than its higher priced competitors! Apply regularly on scalp and hair. For best results, massage and leave it on overnight.